Claire performed on Show 325 in El Paso, TX, on June 4, 2016. Now age 15, Claire studies with Emanuel Borok in Dallas, Texas. Claire has been a soloist with 13 different orchestras, and internationally, in 7 countries. She has had master classes and coachings from Ida Kavafian, Julia Fischer, Pamela Frank, Robert Lipsett, Donald Weilerstein, and Ana Chumachenko. Past teachers include Shelley Rich, her parents, Jan Sloman, Sandy Yamamoto, Gary Levinson, Rudens Turku, and Brian Lewis. Claire has won several important competitions and was the only person from Texas admitted to the 2014 Menuhin International Violin Competition. 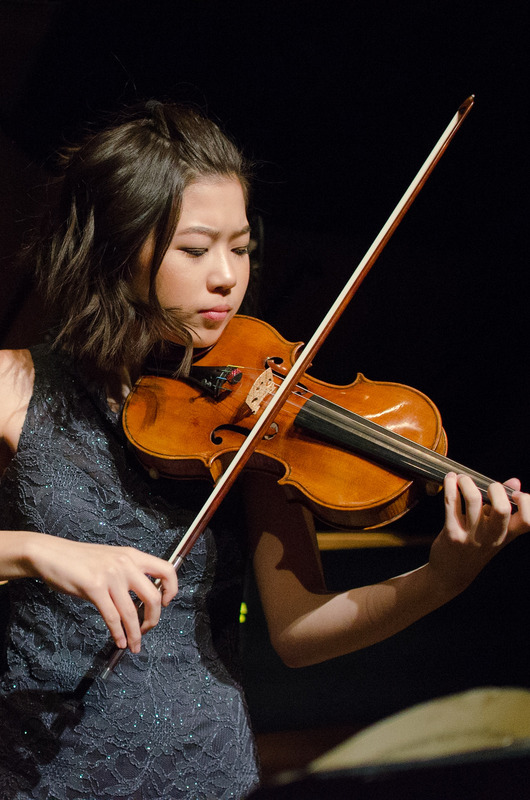 Past music festival performances include Music at Menlo, Meadowmount, Musikferien Starnberger See, Aspen Festival, Kronberg Academy, Musiktage Seefeld, Holland International Music Festival, and the Brian Lewis Young Artist Program. 2015 solo violin recitals included Tampa, Dallas, Salem, and Holland. From a review of a concert with the Jalisco Philharmonica in Guadalajara: “Highlights were the solos by 12-year-old violin virtuoso Claire Wells…..(who) was given a long ovation for her interpretations of Beethoven’s ‘Romance in F major’, and Saint-Saens’ ‘Rondo Capriccioso'”. Reviewed 2-15, after presenting the Northwest premiere of the Arutiunian concerto (1988) with the Mozart Chamber Players under maestro Kelly Kuo: “…beautifully smooth melodies and seamless chords. Even in the difficult and showy sections, Wells refused to sacrifice her sense of line. The audience rewarded her with a well-deserved standing ovation”.